This is a skilful Scandinavian police procedural, which deftly weaves personal peril with concerns of global significance and features a credible and interesting central detective. It’s very much in the tradition of the best Wallander or Martin Beck mysteries, using what starts as a small investigation to shine a light on a much bigger picture. The result is a long, complex and rewarding novel which I enjoyed far more than the author’s previous book, The Hypnotist, and which you don’t need to read first if you fancy picking up The Nightmare. 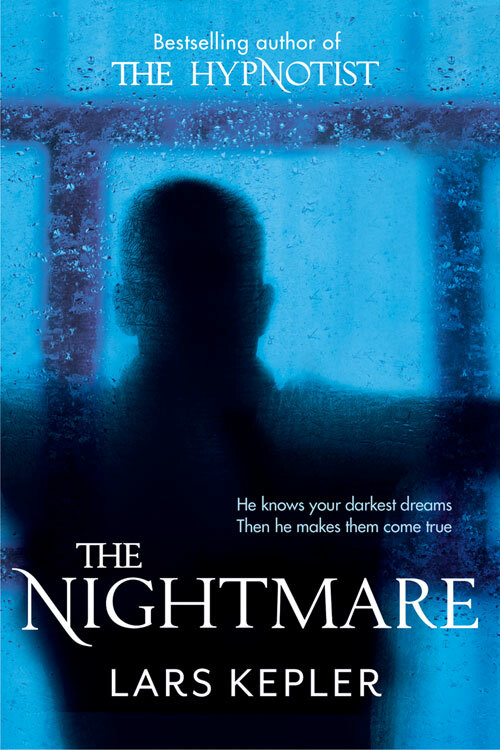 The title, hype and cover design suggest that The Nightmare might be some kind of slasher serial killer thriller. That’s completely misleading. Instead it starts with a suicide, then a murder attempt and a couple fleeing from a determined killer. The action scenes don’t dominate, however; instead the book is plot- and character-driven, and it knits together a raft of fascinating people and concepts. Detective Joona Linna is the solid core of the story: a likeable offbeat detective who this time is partnered with a policewoman who so resembles an elf-maiden that she struggles to be taken seriously. Throw in international arms deals, the subtlety of world-class violin music, running for your life on wooded islands, the inevitable ignored girlfriend, the conflict in Sudan, an international hitman, the misery of insomnia, Swedish neutrality and the danger of making a deal with the devil… and you have a hit. The Nightmare runs to 500 pages, and it starts fairly slowly, but it so gripped me that I read it in one straight sitting, all through the night. But some of the characters are wonderful creations (look out for the young redhead: she’s great), and plot kept me turning the pages through to its typically oblique Scandinavian end. Not quite Jo Nesbo, but well worth your while.